Indian Bhangra Meets Celtic Irish tonight at Dehli 2 Dublin Concert! How does a fusion of Indian and Irish rhythms sound? Like mixing mangoes with onions? Well, let me tell you: add a little bit of electronica to it and this fusion is da bomb! 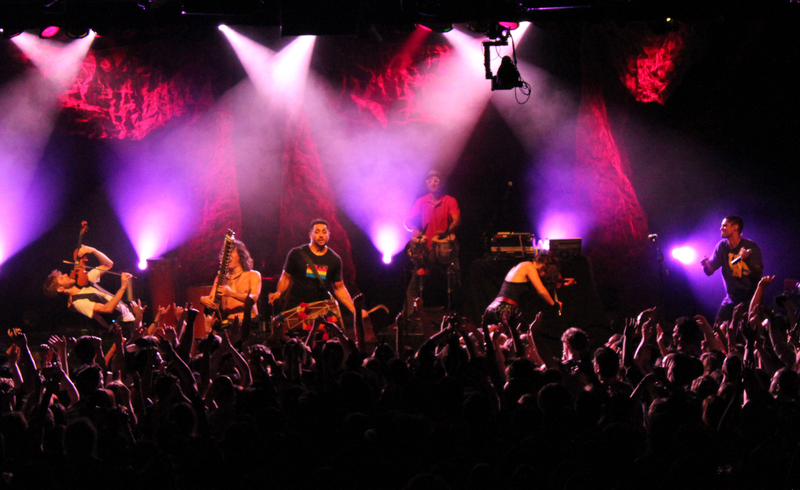 So, if you are free tonight come check out Delhi 2 Dublin, a Canadian world music group that plays an energetic mix of Indian Bhangra and Celtic music. I saw them perform live a few years ago and had lots of fun at their concert. Tonight’s show is at SPACE in Evanston at 7:30. Click here for more details of the show and to buy tickets. Please tell us about the band’s background: How did you come up with the idea of mixing Indian Bhangra and Irish music? What have you learned from this collaboration? Basically, the band started as a happy accident in 2006 when the then programmer of Vancouver’s Celtic Festival asked Tarun (one of the band members) to “put something together.” The result was a 15 minute piece that mashed up Irish dancing with fiddle over electronic beats with a dose of Punjabi lyrics and Indian percussion and funny enough it was also a representation of Tarun’s heritage – half Punjabi and half Irish/Scottish. It’s hard to generalize what our music is about since the topics change from song to song but we do like to keep things on the electronic party tip, we find the energy created at our shows can do more than our most meaningful song. I feel the most important thing we have learned is how much work has to go into a project for it to be remotely successful and also how far a little lucky break can take you. I guess we have also learned how to be incredibly honest with each other. Oh and also how difficult it can be to write something simple and catchy! The band has performed in Chicago before. 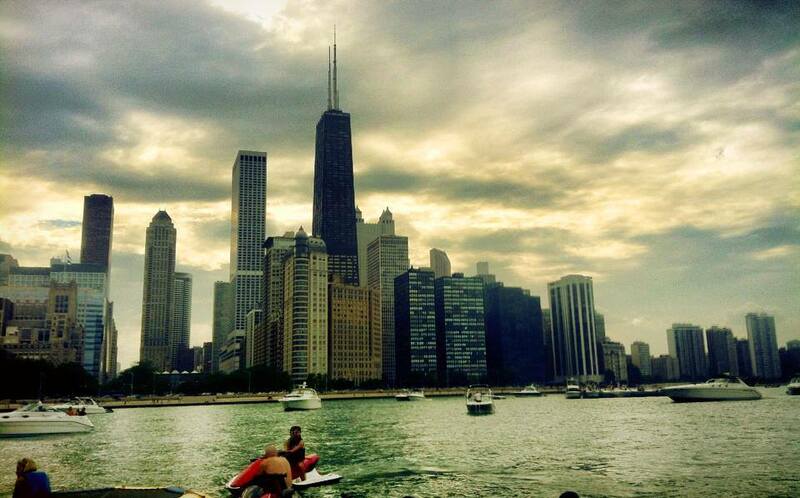 Is there anything new you are bringing to Chicago this year? Our set is continuously changing and so is the way we perform the older material, we’re constantly changing arrangements and stuff plus, we’ve got a bunch of new material. We’re also touring with Jaron Freeman Fox on the fiddle and guitar and his energy and playing style are sick to hear and watch. Do you see any difference about the way cultural diversity is perceived in Canada versus the United States? Yes, definitely, but with so many factors to consider it makes a direct comparison between the two countries very difficult, especially since there are such big regional differences within each respective country. This is a conversation on its own that could be discussed in great length. Good old fashioned sweat-up-a-storm kinda good vibes!